A wide variant of non-tumorous bone lesions may exhibit radiographic and MRI features similar to neoplastic conditions of the bone. The World Health Organization classification includes simple bone cysts, aneurysmal bone cysts, fibrous dysplasia, osteofibrous dysplasia, and Langerhans cell histiocytosis under the category “tumors of undefined neoplastic nature.” These lesions will be discussed in this chapter, along with other miscellaneous lesions such as intraosseous lipoma, liposclerosing myxofibrous tumors, and adamantinoma. Brown tumor is not a true tumor but rather a reparative cellular process which is seen in hyperparathyroidism. 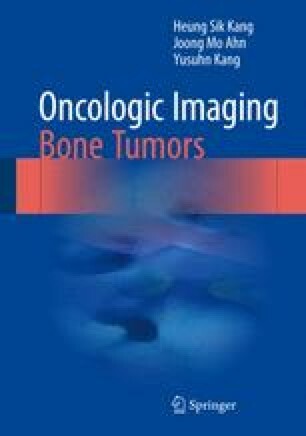 However, it has overlapping imaging features with certain primary bone tumors or metastatic diseases and will be illustrated in this chapter.